BATI Shipping & Trading in Turkey have been very busy and active recently, completing successful project after project. 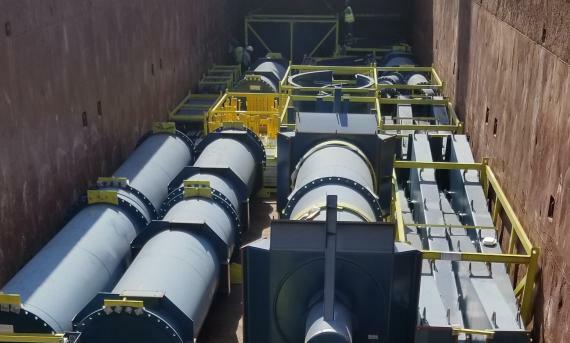 They have recently finished another project in Russia involving the door-to-port shipment of a total of 250tns and 2,750cbm of project cargo including a 15m-long piece weighing 48tns. As the cargo was not packed, each piece had to be carefully moved by the BATI project department. Click below for a photo of the cargo on board the vessel. "Keep following us for more projects - You dream it, we move it!"